"Caroline Brazier proves to be a wise and accomplished guide for practitioners wishing to navigate the vibrant territory of nature-based therapy. Written in an engaging readable style, the book traverses a wide range of current ecotherapeutic thinking, the way illuminated by her extensive clinical experience. This is all woven seamlessly into a coherent theoretical framework alongside extensive practical guidance. With this rich landscape, she provides practitioners of all modalities with much needed support for an ethical mindful approach to outdoor therapy in its many different guises. " "Ecotherapy in Practice is a fabulous wide-ranging tool-box for those who are both new to ecotherapy, as well as more seasoned practitioners, and I know I shall be dipping into it again in the months and years to come. 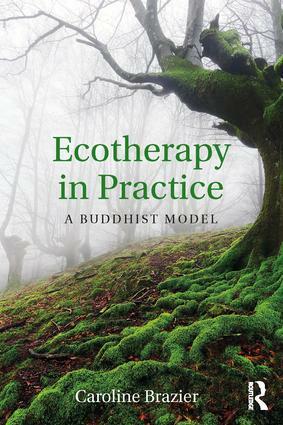 It is an invaluable contribution to the body of ecotherapy and ecopsychology books already available."